Sellick STM - J.D. 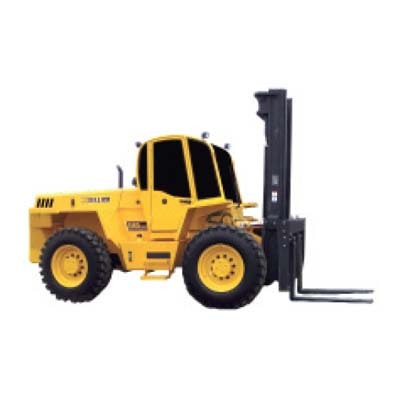 Honigberg International, Inc.
A truck mounted forklift is exactly what the name implies. 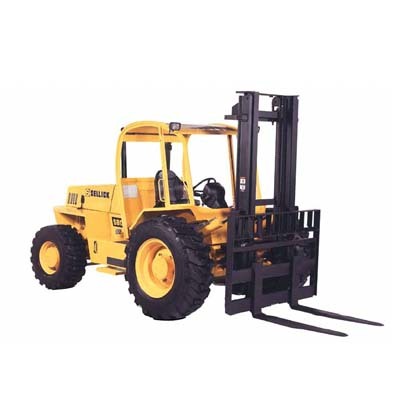 It is a fully functional forklift that will self load on a truck or trailer. This allows you to deliver loads in areas that traditionally do not have an unloading method available. Not only can you safely unload, you can place it exactly where your customer needs it. This is value added for your customers and permits you to get more done on any given day! 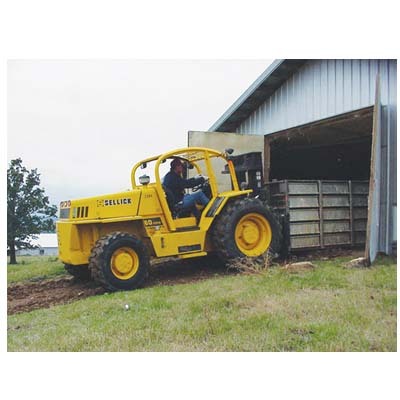 Sellick Equipment has been forklift building specialists for over 40 years. It is what we do and who we are. This means you can be confident that the STM will meet and exceed the performance and reliability of any truck mounted forklift on the market. We can help you through the entire decision making process when it comes to a Truck Mounted Forklift. From model selection, mounting, operator training to service programs. We are here to serve you! We start with an easy-to-access, roomy cab for the operator. A comfortable operator can better concentrate on the task at hand. Once seated, we offer clear visibility and fingertip controls. Clearly spaced hydraulic levers are located right above quick click electrical switches. An instrument cluster with a fuel gauge and warning lights completes the easy access operator dash panel. These features reduce the operator’s need to “search” for a function. This allows the operator keep their eyes on the load and obstructions in their travel path. Combine these with our all time three-wheel drive and EZ Drive system, your operator can focus on the path ahead. 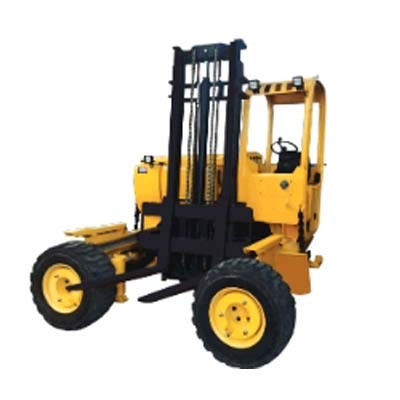 The EZ Drive system is the closest drive to a traditional forklift. This is important as there is always turnover of drivers in product delivery. Getting a driver quickly up to safe operation is important to your bottom line. The EZ Drive consists of four components; Column directional control, a combination inching/brake pedal, EZ Trac traction control, and a 150° steering system. Column directional and foot pedal control simulates the control on the majority of traditional forklifts. It is hand operated and combined with a inching/brake foot pedal. Push the lever forward and the unit will go forward when the accelerator is pressed and pulling the lever back will make the unit go backward. Many stmL’s utilize a foot pedal directional control system. The major complaints with these systems are the learning curve to operate and leg/foot fatigue with different-sized operators. We have designed toward the ease of learning and use. EZ Trac control is an operator activated, module controlled full traction system. If the unit is in soft conditions and experiences significant wheel slip all the operator has to do is tap a momentary switch. 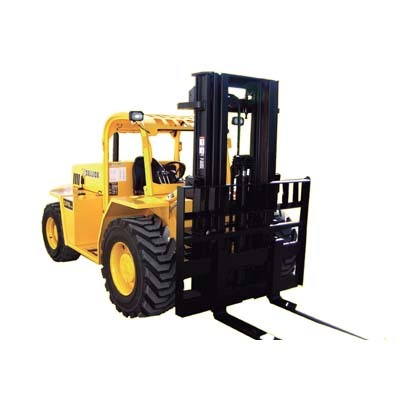 The system is designed to stay activated until the forklift senses that traction has been restored or a specific time has passed. This is a “hand-free” system when compared with forklifts that have a momentary switch. These buttons must be continuously held by the operator while trying to maneuver through the bad conditions. Other switch systems stay on when the forklift is on firm ground which can create performance issues and damaging heat..